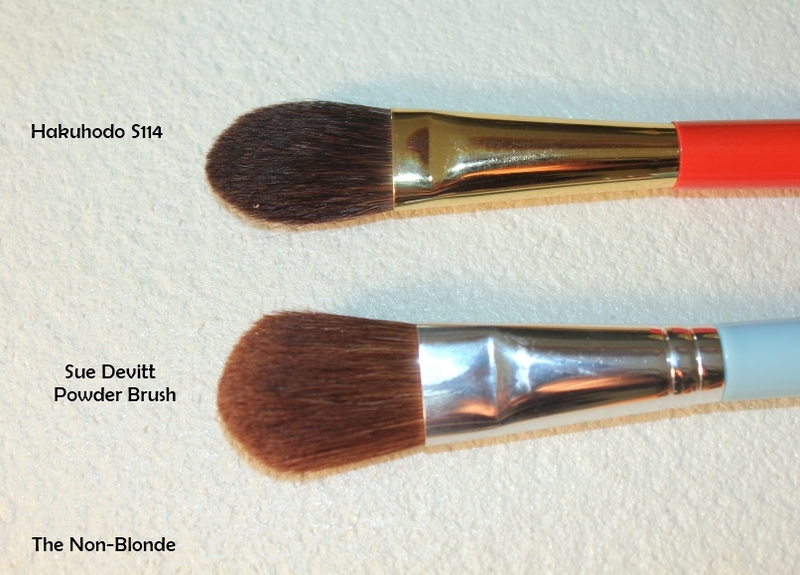 Hakuhodo S114 Highlighter Brush takes away a lot of the guessing out of powder highlighter application. The very precise shape and size let you be place the highlighter right where you want it: the high points of the face (cheekbone, browbone), in just the right amount and softly blend it into your makeup. Hakuhodo S114 (obviously from the gorgeous S100 series with the vermilion handles and gold ferrules) is the size of a small blush or powder brush (you can see it next to the relatively tiny Sue Devitt powder brush). 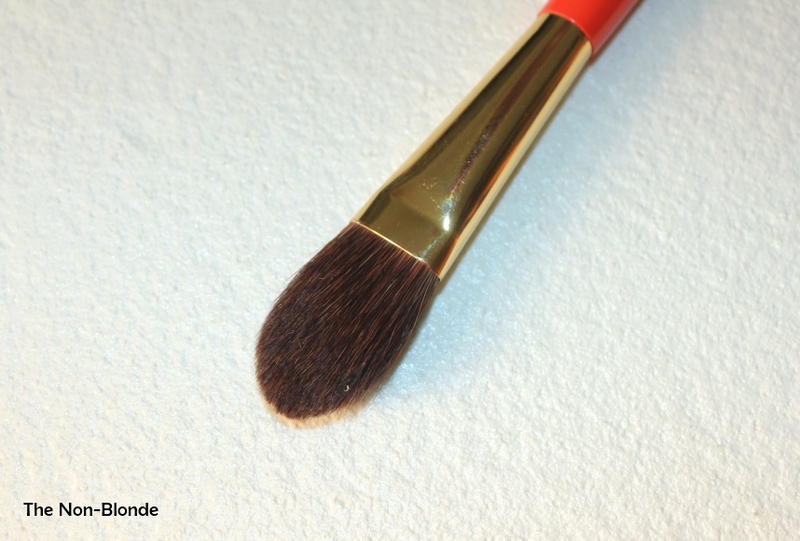 This makes the brush ideal for many tasks involving small face areas and powder products: setting the under-eye area, mini powder touch-ups and delicate finishing/blending of overall eye shadow. 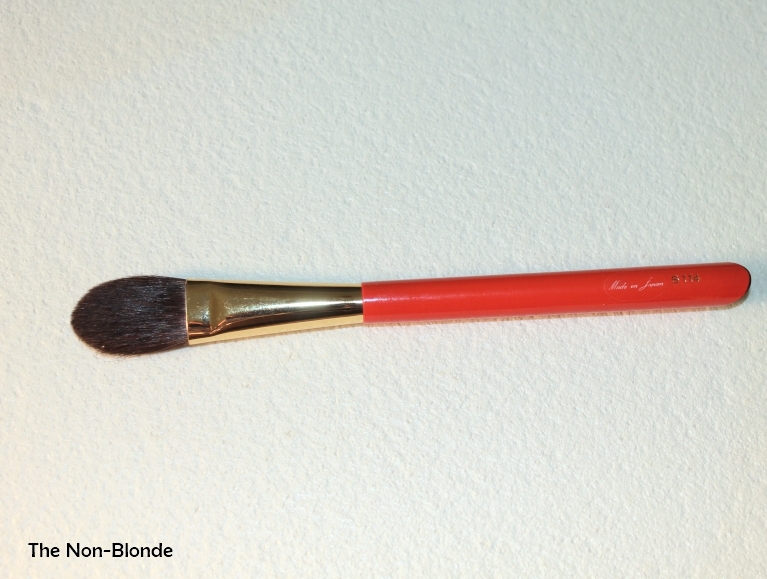 Oh, yes, and highlighting (this brush loves Chanel highlighters, such as this one). Now, let's talk about the softness. Hakuhodo S114 is made of Kazakhstan squirrel, which apparently is absolutely amazing because I can't stop touching it to my face (and finding more uses to the brush). 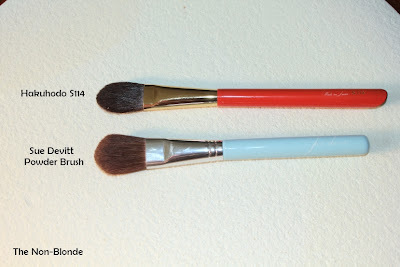 I know many of us dream of Suqqu brushes' that are supposed to be utterly orgasmic, but honestly, I can't find any fault in this Hakuhodo brush (other than the price, that is). Bottom Line: really nice to have. Hakuhodo S114 Highlighter Brush ($84) is available from hakuhodousa.com. I'm loving this brush series, and having fun trying to make a Hakuhodo wishlist! 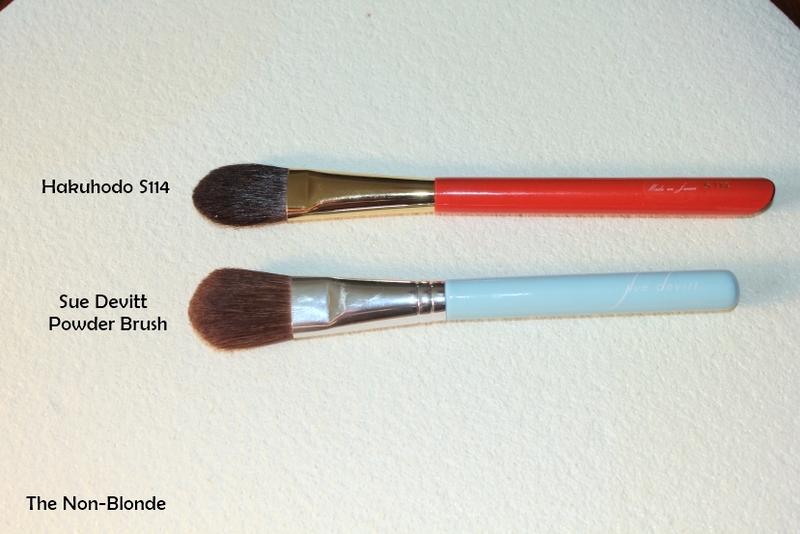 Is there any chance you'll be showing us how you store your brushes (or at least discussing this topic)? I'd love to know what method you use! I love this brush, I bought it in a 5 brush set. It really does help in the highlighting section.